Every year for the last few years I host a Girl's Night In for the Cancer Council, to raise money for women's cancer research and support. Though mine is more of a Girl's Day In. 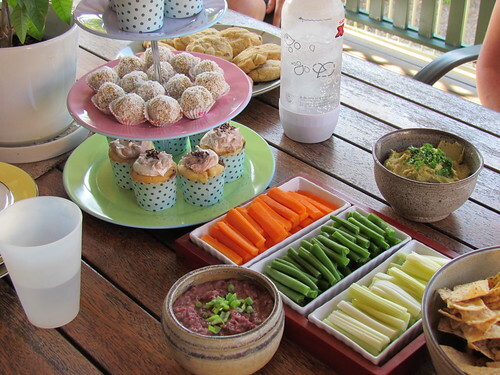 One Sunday afternoon each year, the ladies from the clinic all come around to my house for afternoon tea, and I provide lots of vegan goodies for them to eat. This year was a smaller group - a lot of people were away, but I still tried to make a good spread. Here's what we ate. 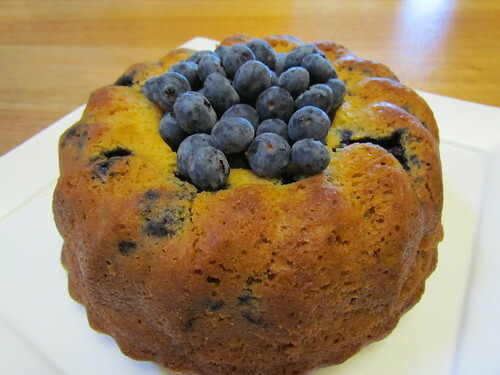 Bundt cakes make me excited, and this lovely citrus blueberry cake was beautiful. I suspect my bundt pan may be a bit deeper than the US bundt pans, as I often have to bake my bundt cakes for about 15-20 minutes longer, and they come out looking taller than the ones in the book sometimes. Also, if you are using silicon, make sure to wait until it is completely cooled before sliding out. This was a big hit, one of the girls took some home for her partner, who I believe said it was the best cake he'd had all year. There were adorable in the end, but did give me some stress when doing. The recipe says if you are coordinated enough, you can pour the vanilla and chocolate batters in side by side to the liner. 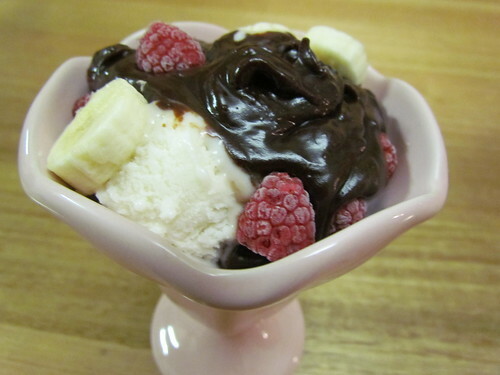 I started this, but the vanilla batter was thicker than the chocolate and did not pour well. I ended up doing the other option, alternately dropping spoonfuls of each side by side. I marbled them using a toothpick, but I wonder if using a knife would get a better pattern, as they did not marble much. 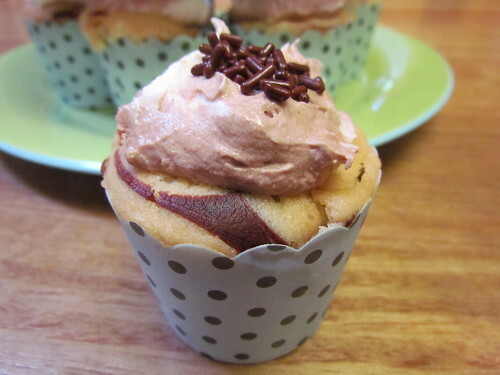 I also used these cute little cupcake liners, which you can see above. The recipe calls for filling to the top, so I only got 10 cupcakes using these. In these liners they did come out looking a bit funny on top, I think because they don't allow the normal shape of a cupcake to form, maybe? Next time if using these liners I would split the batter between the full 12. For the frosting I made the buttercream frosting from the book, and blended half of it with Dutch cocoa powder. I then firmed each frosting up in the fridge in separate bowls before marbling them together, put in the fridge again, then just dolloped onto the top. 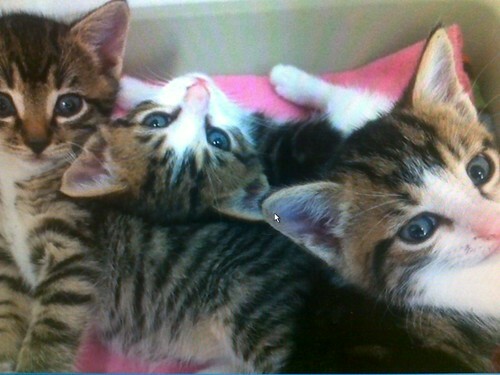 They ended up looking adorable, I think. And they tasted yummy. 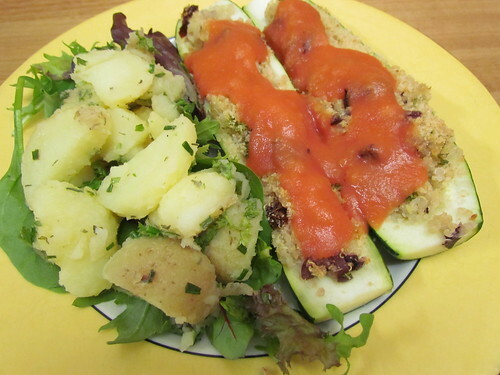 They also seemed to improve in taste as they sat in the fridge, so consider making these in advance. Here ends the essay! 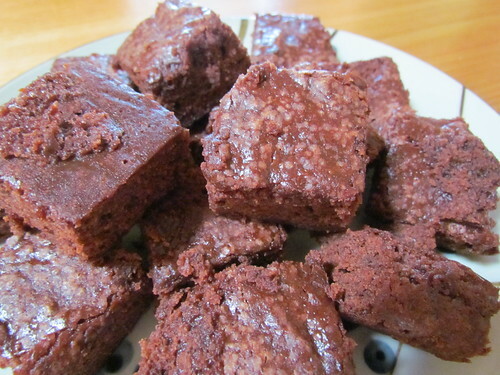 I think that brownies are a pretty sure bet for any sort of social gathering. Rich, moist and chocolatey. 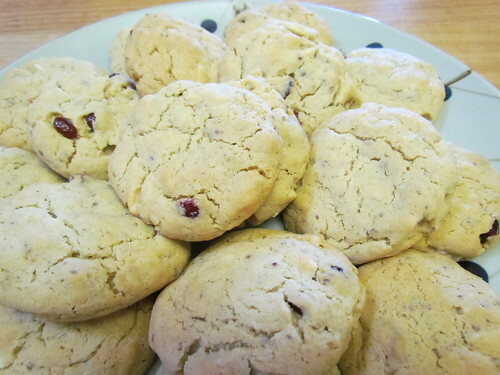 These are large, comforting cookies. They would be great with a glass of plant-based milk of your choosing! One of the girls took home all the leftovers and her partner apparently ate them all before his bike ride the next morning! Carbing up, I assume. 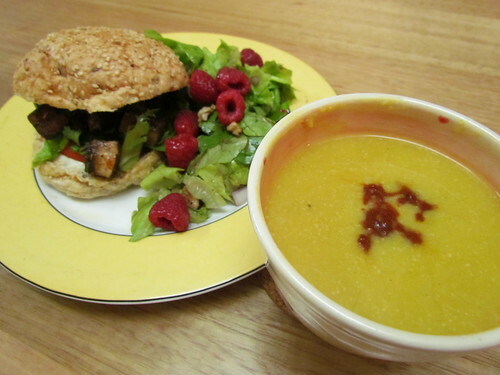 This recipe was a last minute addition to the menu. You know how you suddenly panic and worry that you won't have enough food (even though you have more than enough)? I am so glad I did. 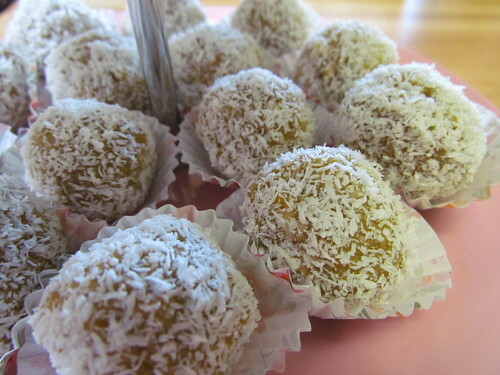 This is a variation of Apricot Walnut Balls, and I chose it because it sounded like a delightful tropical mix. They are heavenly! 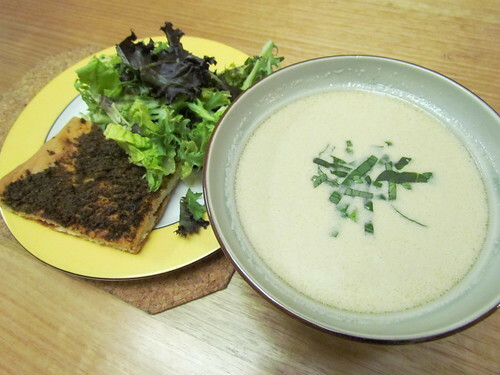 Of course, there needs to be some savoury snacks as well. What happens with hummus and guacamole love each other very much. Delicious. Also, even though it has avocado in it, it didn't go brown over several hours. 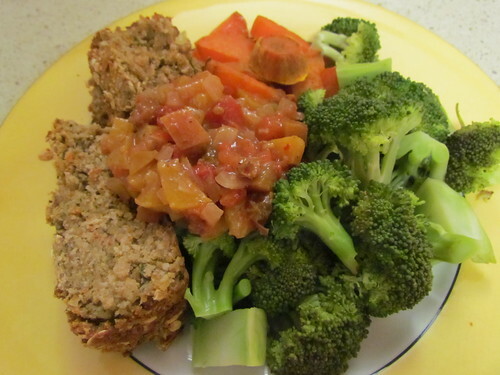 This was gobbled up with lots of fresh vegetable sticks - carrots, celery and green beans. This stuff takes less than five minutes, and is seriously delicious. I only used one chipotle, which gave it a nice smoky kick. 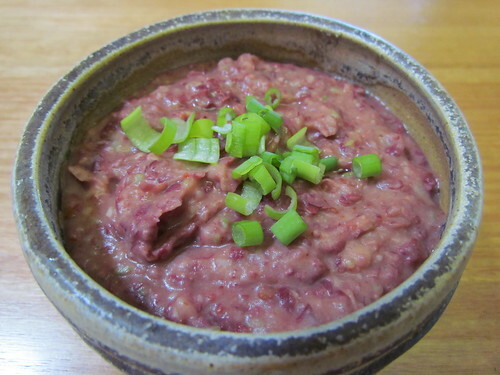 I think if you left out the water in this recipe, it would make a great almost-instant refried-bean style tasting filling for tacos and burritos. Served with tortilla chips. Another of those last minute additions. I am so glad I added it, because it ended up being the star of the show! 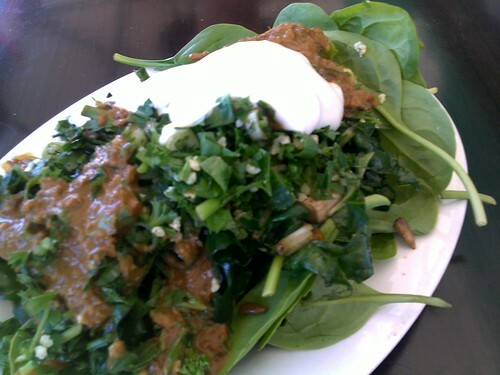 This is the only way capsicum should be eaten - roasted and blended up into a cheezy sauce. 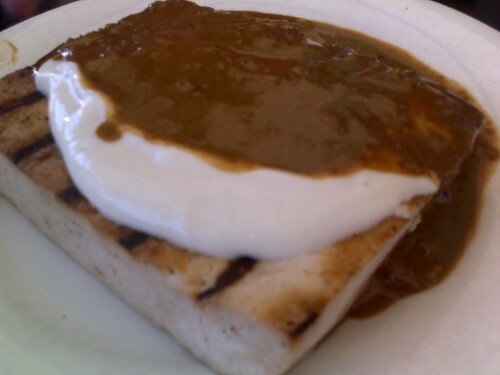 There it just adds a depth of flavour, and does not give me indigestion. Yay! 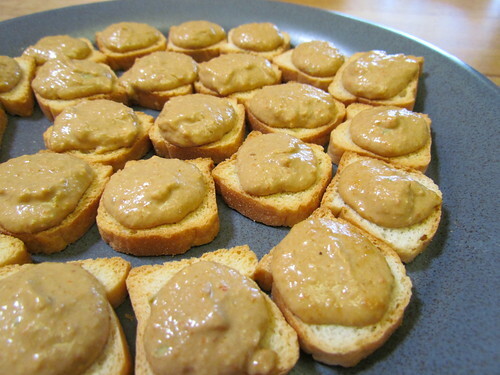 Instead of making toast and cutting it into small shapes, I bought some mini melba toasts. This is one of my favourite things ever. 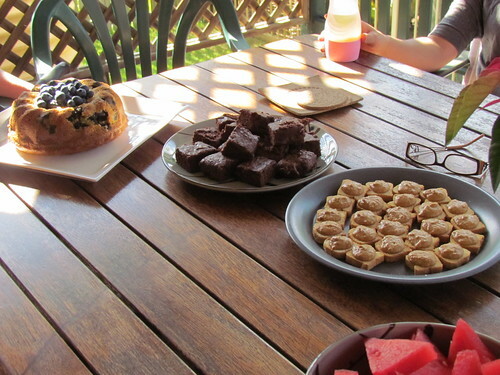 Here are some photos of the table, with all the food set out. The dips with all their dippy friends. 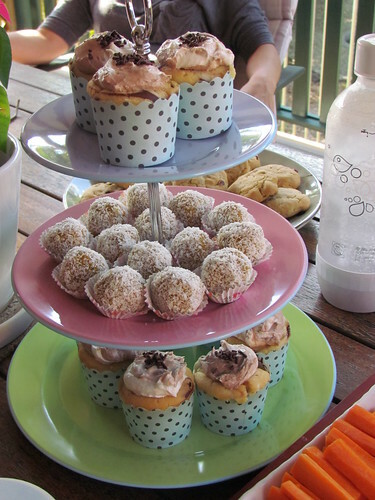 Tiered serving stands always make everything extra adorable. You can just see here the watermelon I also cut up and served. I like to serve some fruit at these things. The watermelon was perfect as well. So, that is done for another year. It is a great way to showcase delicious vegan food, have a good time with friends and colleagues and raise money for a great cause. I'm already thinking about what I shall make next year! Possum chilling out on the carpet, like the total stud he is. Look at his little toes! This is the final instalment in my 30th birthday posts. My parents were not at my birthday party, so to celebrate with them I wanted to go out for a fancy pants dinner on my actual birthday. I put out the call, and Arly highly recommended Matt Moran's Aria on Eagle Street Pier. Cale from The Green Edge also said he had had a fabulous dinner there. So there is where we went. My parents agreed they too would eat vegan for the evening, as obviously I wanted all of my birthday celebrations to be cruelty free. We had an early reservation as I had to work the next day, and we arrived a little early. That didn't matter though, as it is a beautiful spot to sit for a little and watch the river. 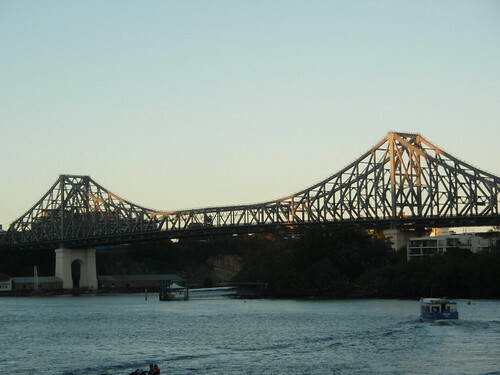 Here is the Story Bridge. 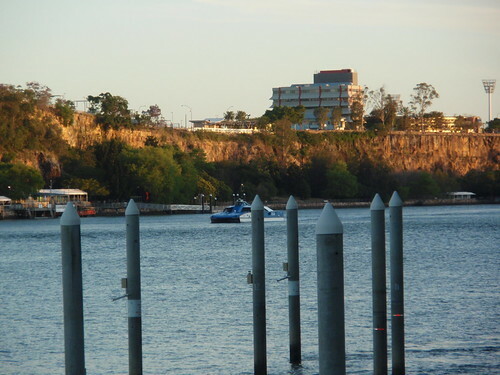 You can also see the cliffs at Kangaroo Point. Sitting here looking at the peaceful river, it was hard to imagine that at the beginning of the year this river was flooding the city. 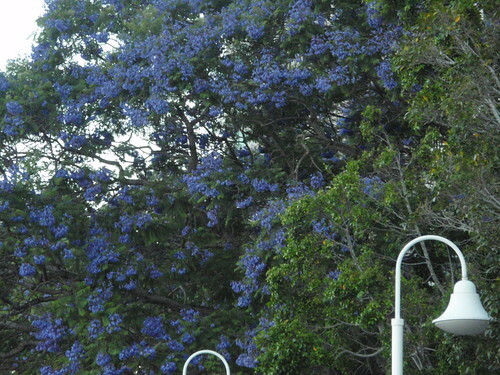 You know it is November (and exam time) in Brisbane when the Jacaranda trees are in full bloom. Purple bursts of colour everywhere! There are several restaurants down at Eagle Street, so I also did some browsing and made a note of those who mentioned vegan somewhere on their menu. And then it was time for dinner. We had a lovely table that overlooked the river. For the first two courses, we were given two options. As there were three of us, that meant that we at least had one of everything so I could sample to one I didn't get. 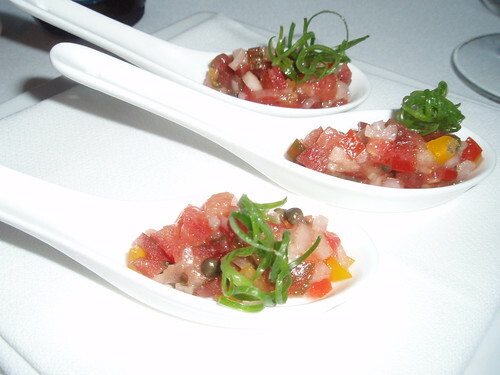 First the brought out some litter appetisers - spoons full of heirloom tomatoes, shallots and capers. It was bright and delicious. After this photo, I turned off the flash as it was a bit too intrusive in the dim lights of the restaurant. 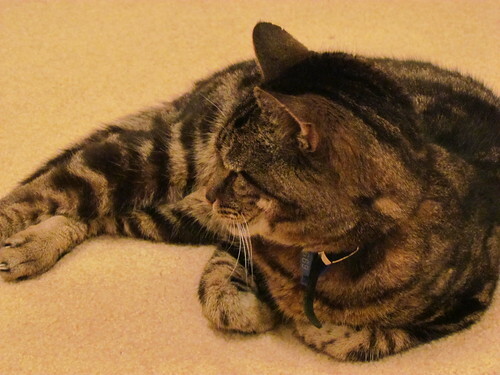 I also had my mum's point and shoot, as my camera is a bit big and again would have seemed a bit intrusive. 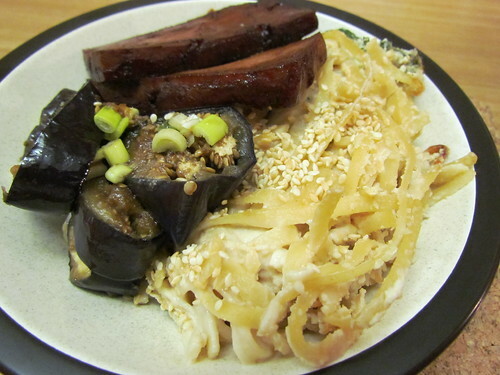 I also apologise that I don't remember everything that was in each dish, but I will do my best to describe! After the appetisers, they brought around some fresh white bread rolls and some lovely olive oil for dipping. Nom. For the entrée (US readers note: in Australia, the entrée is the first course, not the main) both my dad and I had the Tomato Consommé. It was amazing, and I have been craving it ever since. 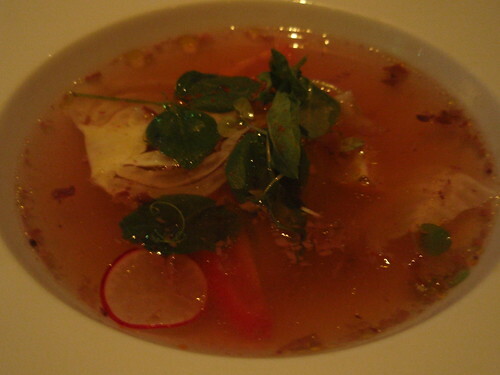 The beautiful clear, red broth was poured over sliced heirloom tomatoes, radishes and fennel. Sorry for this shocker of a photo. 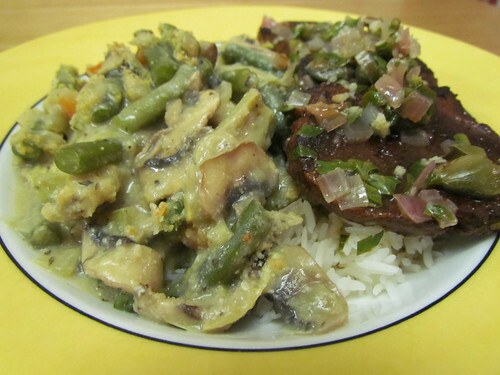 This is mum's entrée, which was an asparagus and pea salad. 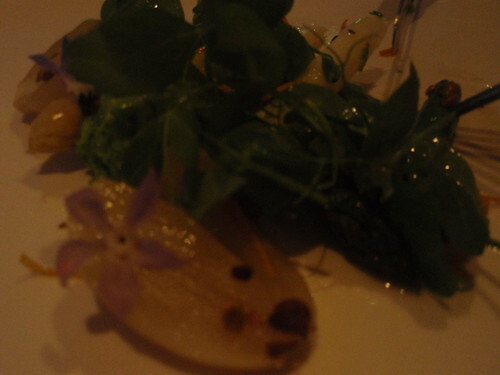 In addition to grilled asparagus, it had an amazing pea purée as well as pickled shallots, some lovely purple flowers and pea shoots. Between entrée and main, the brought around more bread. This time I had a large chunk of delicious sourdough. 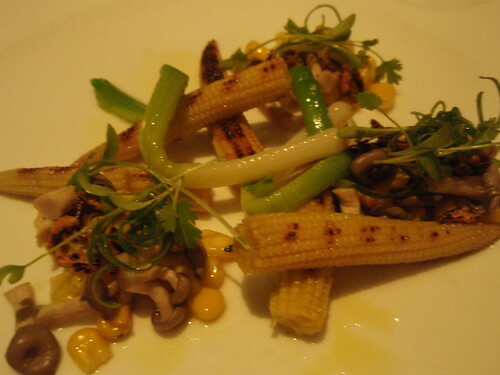 For mains, mum and I both had the warm corn salad, which had grilled baby corn and baby leeks on top of corn salsa with mushrooms. 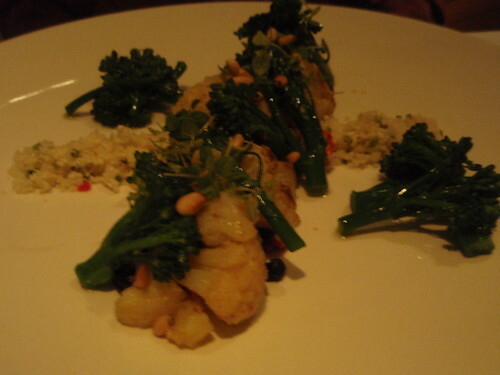 My dad had a dish with cauliflower and broccolini with chili and raisins, and I think it had some cous cous as well. 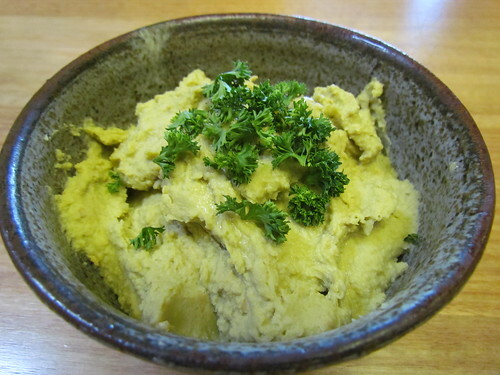 I tried a bit of the cauliflower and it was yum. We also ordered two vegan sides that were available. 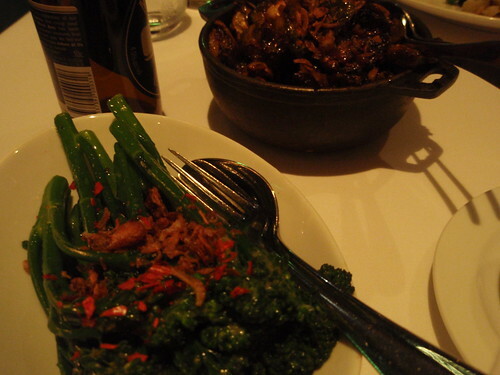 First was sautéed broccolini with chilli and crispy shallots, which was lovely. But it paled in comparison to the caramelised Brussels sprouts and shallots side dish, which was out of this world amazing. Mum has since Googled the recipe, so we can try and recreate it ourselves. There was only one dessert option, but it was a doozie. A beautiful summer berry salad, that included strawberries and raspberries as well as freeze-dried raspberries, with two small scoops of berry sorbet and one larger scoop of pina colada sorbet. The latter of the sorbets was the best sorbet I have ever had in my life! Plus they gave me a candle, which was super cute. The only downside was that the chocolate that they wrote on the plate with was not vegan, they told me straight away up front not to eat it, which was good. But they said they didn't know what else to write it in. Next time I would just request to have my plate writing free. Even if I'm not eating it, I still don't want it on my plate. Blowing out my candle. The angle of the photo kind of makes my look like I have a hump back. 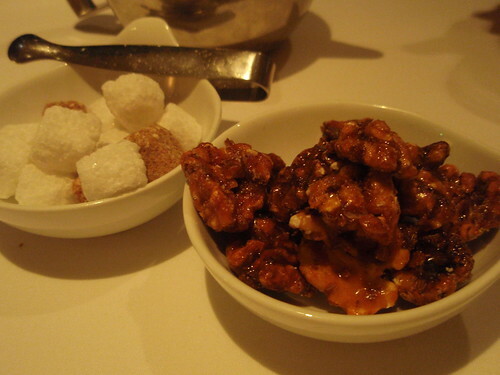 I finished off with some peppermint tea, and they brought out these amazing candied walnuts. I could eat these all day, and I am not even a big fan of walnuts. Then it was back to the house to eat a piece of leftover birthday cake on my actual birthday, and into bed before work the next day. 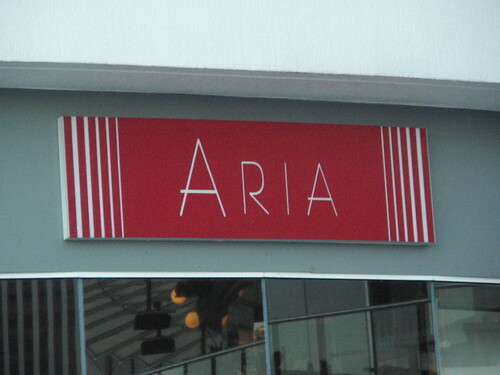 I loved Aria, and would definitely go back there again for a special occasion. 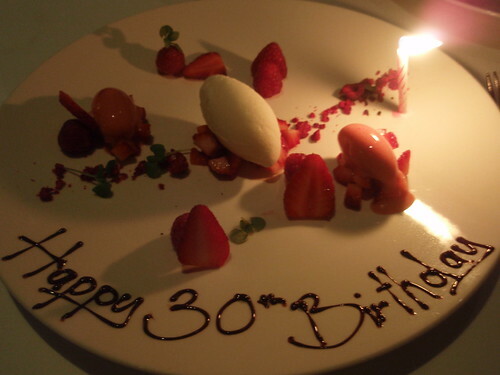 It is a great example of what good chefs can do with beautiful, fresh, seasonal fruit and vegetables. And before anyone cries out about the lack of a typical protein dish, I was incredibly full and satisfied after this dinner. Now, does thirty years and one month old qualify to go back?? 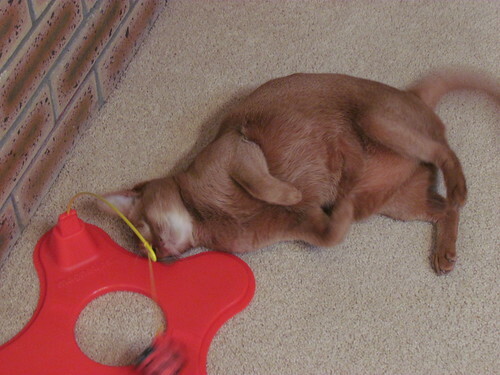 Action shot of Sahara playing with the magnetic ladybug swinging toy I bought the girls for Christmas two years ago. I mentioned my birthday festivities spread out over a weekend. On Sunday, we arose and after breakfast (I just had toast with Vegemite and avocado, and then a second breakfast of leftover finger sandwiches) and saying farewell to Brendan and Diana, Leigh and I went off in search of vegan adventures. Our first stop was The Green Edge. The Green Edge is a magical place! 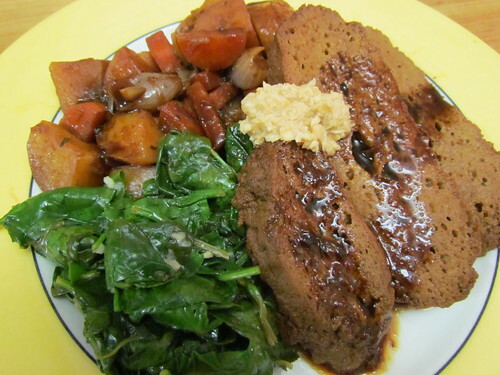 It started out as a vegan grocery store, but has morphed into an amazing meeting place. It also serves pies, smoothies, milkshakes, hot drinks and sundaes, with burgers coming soon. And the range of vegan supplies available is extensive. I was taking Leigh there today to show her the coolest vegan place in Brisbane, and to have some sundaes! Leigh was also excited to see that they stocked Teese, which apparently you can't get in Sydney (score one for Brisbane! ), so she did some shopping as well. 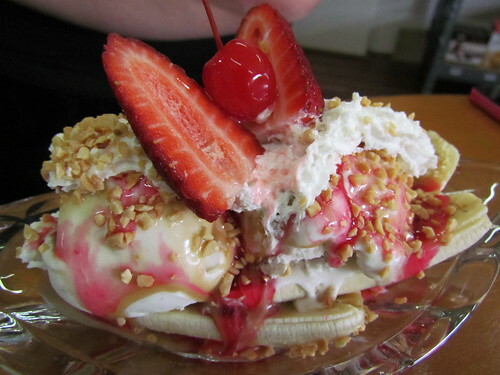 We both chose the banana split - with some strawberries on top. It was so good. Banana, Cocoluscious ice-cream, Soyatoo topping, homemade butterscotch sauce, strawberry sauce, chopped nuts, strawberries and a cherry! Heavenly. 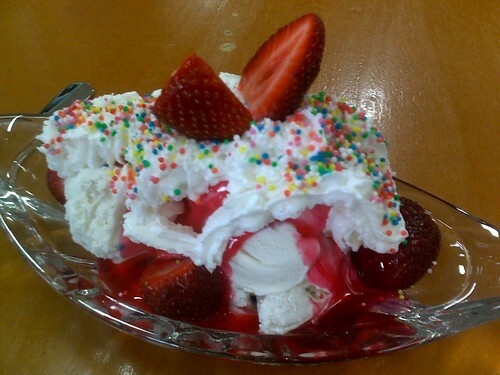 This is one of their strawberry sundaes, which I had at a previous visit. It has strawberries, Cocolucious ice-cream, strawberry sauce, Dandies marshmallows, Soyatoo whipped cream, sprinkles and more strawberries. They also have a chocolate sundae of doom, that I am yet to tackle. I will post when I do! Our plan was to then head on to lunch at Brisbane's first World Vegan Day Fair. We were looking forward to some Hellhound Hotdogs. However, thanks to texting, I found out that the hotdogs weren't there, and there was not much food to be had as several people had fallen through. We ended up heading out to Kuan Yin, with Matt and James who were also on the lookout for lunch. Sadly I don't have photos of all the noms we had! Leigh and I shared the fried dumplings (which are AMAZING), the Taiwanese spicy 'chicken' (so crunchy and salty and good), fried 'calamari' (I was suspicious, but they are actually delicious) and the sweet and sour 'pork' bento box, along with a Taro soy milk tea with pearls (also known as Cookie Drink, as it tastes like cookies). It was so yummy and filling! Leigh and I didn't end up making it to the fair, and that night I dropped Leigh off at the airport and said farewell! The next morning was my actual birthday - 30! I had arranged to go down the coast for lunch with Brendan and Diana, who were staying down there for a few days. We went to The Magic Apple. 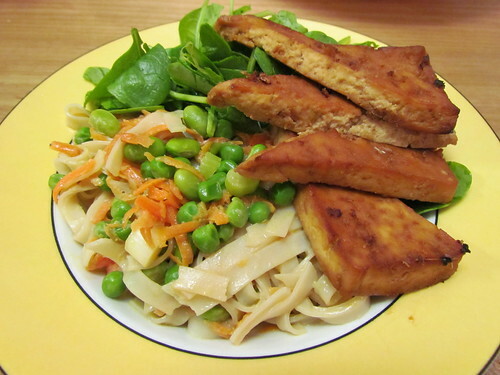 It was hot and I was feeling like something a bit lighter (I had a big dinner coming up that night), so I got the tofu steak (normally served on a burger) with three different types of salad, all covered in vegan mayo and Gado Gado sauce. 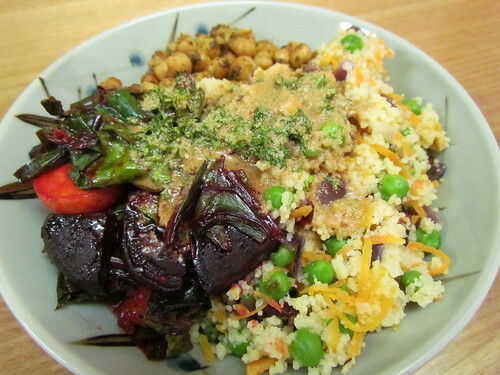 It was quite nice, but some of the 'roasted' vegetables in one of the salads were pretty raw. I wanted a little something sweet to end up with. Unfortunately, half their dessert case was marked Vegan (tho honey). I am not looking to stir up any big debates here, but by simple definition honey isn't vegan. It was pretty disappointing. So there were only a couple of truly vegan options. 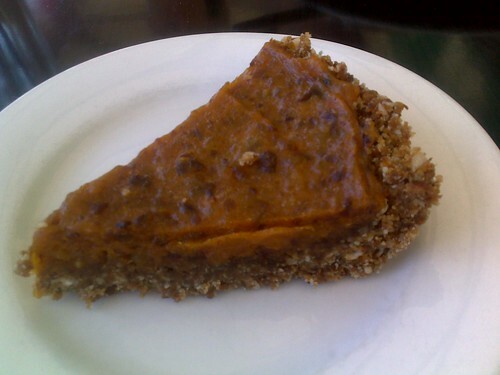 I ended up getting this piece of mango and apricot pie, which was quite nice. 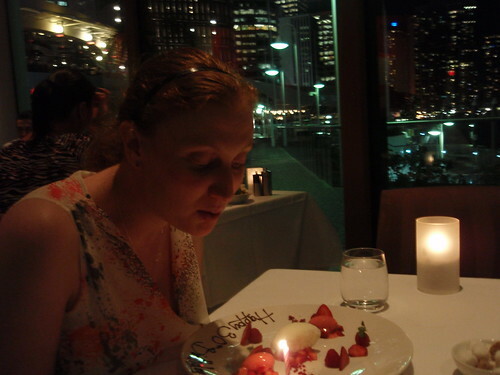 Then it was time to head back to Brisbane to get ready for my big dinner, which will be the subject of the next post! 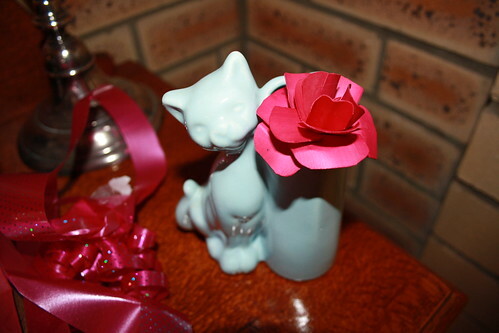 One of the presents I got at my party was this beautiful blue cat vase. I am totally besotted with it, because it kind of reminds me of a teal cat. Only blue, and obviously the proceeds didn't go towards a kitty shelter. But it is just as cute! I had really wanted a teal cat but they don't ship internationally, so I was very happy to get this light blue cat! This photo is a bit blurry - I was arguing with my camera and couldn't get a better one. 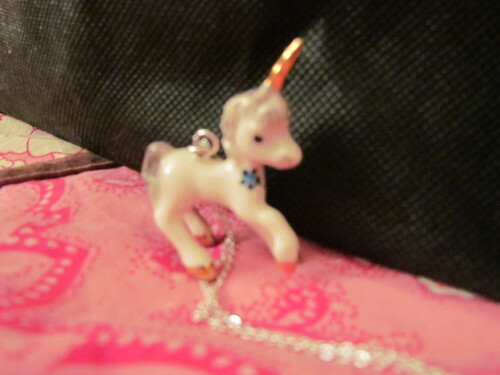 Another friend gave me this gorgeous unicorn necklace (I had been talking about unicorns a fair bit of late). His name is Paul!